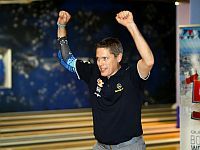 After qualifying for the QubicaAMF Bowling World Cup for the first time in his illustrious career, PBA star Chris Barnes swept his two opponents in the stepladder finals to win the men’s title in the 50th anniversary edition of the prestigious event Sunday, Nov. 9 at Sky Bowling Center in Wroclaw, Poland. The six-time World Champion and 17-PBA titlist (pictured above with the trophy), who finally had won the Team USA Trials in January to earn berth into the World Cup after finishing second in the qualifier for five times. He matched the performance of his wife Lynda, who won the 41st World Cup in Llubljana, Slovenia, in 2005, making them the first husband-wife duo that has won the World Cup. Earlier on Sunday, the 40-year-old right-hander defeated Sweden’s representative, Magnus Johnson (right), 257-213, in the position round match to overtake the 21-year-old Swedish youth national team member and to claim the No. 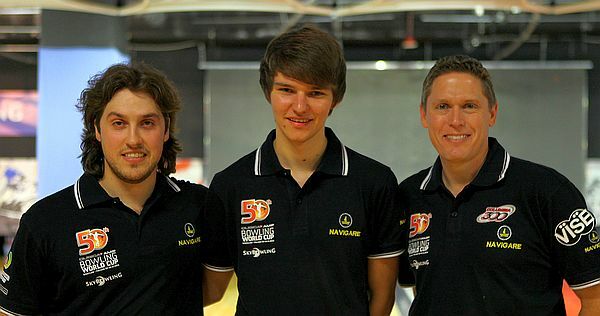 3 seed for the stepladder finals in best-of-three games format. In the semifinal match against No. 2 seed, Mykhaylo Kalika (left) of Ukraine, Barnes won the first game by eleven nine pins, 215-205, then reeled off twelve consecutive strikes in the second game for a 300-219 win to advance to the title match, two-games-to-none. 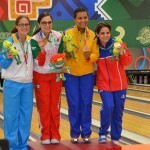 It was the fourth perfecto of the event and the 71st overall in the 50-year history of the event. Barnes is seventh U.S. bowler (six men, one woman) who achieved perfection at the World Cup. Kalika rolled his first perfecto in Wroclaw two years ago and his second in Krasnoyarsk, Russia, last year. The first game of the championship match against top-seeded Tobias Börding (right with Barnes), Germany, was a strike fest. 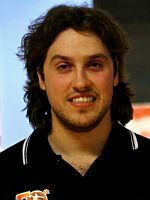 Börding, who has led the event from the first day averaging almost 240 for 36 games, scored nine strikes and converted three single-pin spares. Barnes, however, had even ten strikes and only two single-pin spares to take a 1-0 lead, 265-248. The second game was close throughout eight frames. Working on a double, Börding, who held a slim lead, left a 10-pin standing in the ninth frame which opened the door for Barnes. The PBA star struck in his 9th and 10th frame to force Börding to throw two strikes in his last frame which would have force Barnes to throw another strike to win. Börding got away with the first strike but when he got another 10-pin on his second shot the match was over. 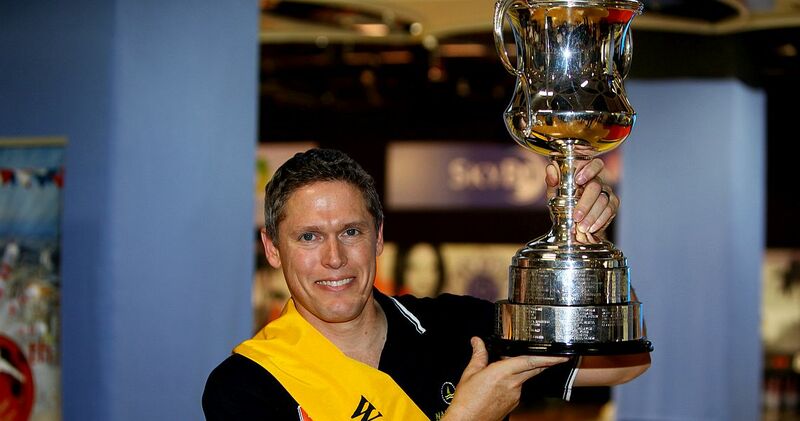 Barnes won the game, 231-216, and the match 2-0, to capture his first and maybe last World Cup title. 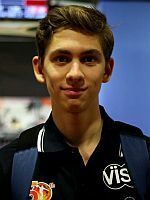 Bowlingdigital.com covered the 50th QubicaAMF Bowling World Cup live from Wroclaw including reports, photos and results after each round. The event was broadcast live on BOWL.com’s BowlTV. The preliminaries consisted of four blocks of five games with the top 24 men and the top 24 women after 20 games advancing to the intermediate round. Those 24 players bowled further 8 games with the pinfall total from the preliminaries being carried forward. The top 8 men and the top 8 women after 28 games bowled a further seven games round robin match play plus one game position round (total 8 games) with 30 pins bonus per win and 15 for a tie. The top 3 men and the top 3 women after 36 games including bonus pins determined the champions in the stepladder finals in best-of-three games format.